Mikheil Saakashvili is a Georgian and Ukrainian state and political activist, President of Georgia from January 25, 2004 to November 25, 2007, and from January 20, 2008 to November 17, 2013, head of the Unified National Movement political party, one of the leaders of the Revolution of Roses, which culminated in the ouster of Eduard Shevardnadze. On May 26, 2015, he got the Ukrainian citizenship. From May 30, 2015, to November 9, 2016, he headed the Odesa Regional State Administration. Two years, one month and 26 days. This is precisely how long former Georgian President Mikheil Saakashvili had a dark blue passport with the emblem of Ukraine. Saakashvili is likely to have lost his citizenship because he failed to provide information on convictions when filling in the relevant documents. “He has lost his citizenship because when he filled in documents for obtaining the Ukrainian citizenship, he wrote that he had no criminal record, but in fact he did – a few grave cases had been initiated against him in Georgia,” said a person from Poroshenko’s circle. Saakashvili clarified his position on Thursday morning. “I have been living in Ukraine for over 13 years; I was involved in three revolutions: Revolution on Granite and two Maidans! I have only one citizenship – Ukrainian, and they will not be able to deprive me of it!” Saakashvili said. He also assured that he would not file for a refugee status. “Now they want to make me get a refugee status. This is not happening! I’m not going to stay anywhere and get any status! I will seek a legitimate right to return to Ukraine!” he said. “The Migration Service decided that Saakashvili had no right to get the Ukrainian citizenship and annulled the decision,” said Anton Gerashchenko, MP from “Narodnyi Front” and adviser to the Minister of Interior. “This was done in strict accordance with the law under Art.21 of the Law on Citizenship. Recently, the General Prosecutor’s Office of Georgia provided the Ukrainian side the facts which it had not known when adopting the decision on Saakashvili’s Ukrainian citizenship and which Mikheil Saakashvili had deliberately concealed,” he wrote on his Facebook page without specifying what facts he meant. Earlier, the State Migration Service said that President Poroshenko had issued a decree on termination of Saakashvili’s Ukrainian citizenship. However, such a document is not available on the President’s website yet. The press service of Mikheil Saakashvili did not confirm the information about him being deprived of the Ukrainian citizenship. First, Poroshenko stated that Georgia had not applied to Ukraine for extradition, but later noted that he checked the information and it turned out that Georgia had applied, but Ukraine refused. In Georgia, several criminal cases were instituted against former president Saakashvili on charges of embezzlement of public funds and exceeding official powers. According to the court decision, in case Saakashvili appears in Georgia, he is to be arrested. Leonid Chernovetskyi is a Ukrainian state and political figure of Jewish origin. Kyiv mayor and chairman of the Kyiv City Council from April 14, 2006, to July 12, 2012, head of the Kyiv city state administration (April 20, 2006 – November 16, 2010). On July 14, Leonid Chernovetskyi was served with a notice of suspicion under Part 2 of Art.364 of the Criminal Code of Ukraine. He is suspected of illegal construction of a helicopter pad on Parkova Road in Kyiv, planned to be used by then-President Viktor Yanukovych. At the moment, Chernovetskyi is in Georgia. Georgia’s prosecutor’s office claim they have not received a request from Ukraine to transfer Leonid Chernovetskyi to the Ukrainian party. According to Georgia Online, with reference to the prosecutor’s office, even if such a claim is received, this cannot happen, because Leonid Chernovetskyi is a citizen of Georgia. Some experts explained that the exchange between Saakashvili and Chernovetskyi could be a political barter between Ukraine and Georgia. The news has caused strong feelings among social media users. The majority of users feel outraged that former President Mikheil Saakashvili has been deprived of Ukrainian citizenship. Most of the Ukrainian journalists expressed support for Saakashvili, although they did not support some of his actions. It looks like everything has been planned, though in a slapdash way. 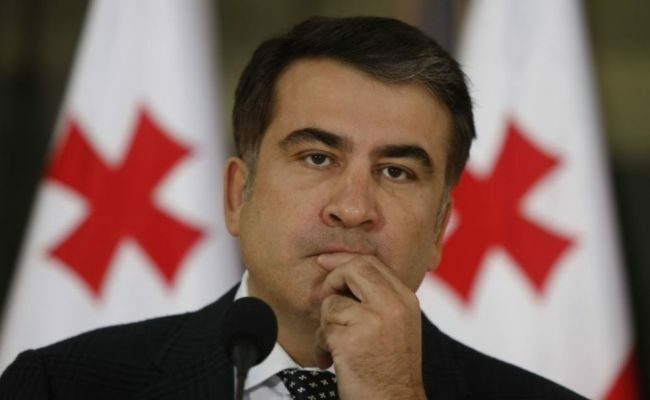 The presidential team found the only possible legal ground allowing them to deprive Saakashvili of citizenship. Besides, they waited until he left the country. Saakashvili is currently in the United States. “Now Saakashvili’s passport must be annulled; the relevant information will appear in the world emigration base, and everything will depend on him now. Now he will become a stateless person, so he can apply for asylum in the country where he is now,” informs the interlocutor in Poroshenko’s team.